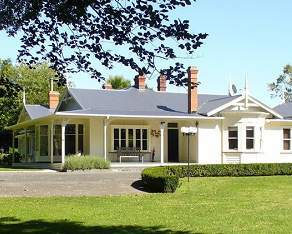 Designed and built by TrueNZ specifically for New Zealand Bed & Breakfast type accommodation. That alone makes SMART unique! SMART is an acronym for Small & Medium Accommodation Real Time so it is just that; a real time system for managing your online bookings as well as your guests and their payments. The "gms" part is because it ia a Guest Management System. SMART is a complete system, fully integrated and fully functional from the get go. You do not need add ons, bolt ons or extras. SMART is a commission free real time booking system that makes it oh so easy for people to make instantly confirmed bookings direct with no commissions. With SMART you can even make special rates available for these direct bookings. SMART includes a unique, fully integrated online electronic credit card payment system allowing you to get deposits with your online bookings - even those from the big Online Travel Agents - at time of stay. There is NO EXTRA COST for this! In addition, you can use the SMART credit card system to take payments from guests during their stay. It's like having your own electronic "ZipZap"! The SMART credit card system is fully integrated, you don't have to switch websites. Your guest payments are instantly there on your guest record. Yes, SMART has a channel manager built in so you can also take bookings from your favourite Online Travel Agents (Booking.com, Expedia, AirBnB and so on) without fear of double bookings. The SMART channel manager looks after your calendar automatically, even while you are asleep. SMART will allow guests to book your available accommodation with instant confirmation. You are able to set your own rules for an immediate online deposit payment on your advance bookings and take full payment for short notice bookings. This means you can get a booking commitment from your guests without requiring them to pay for their whole stay months in advance. The SMART channel manager also allows you to build your very own customised and automated system for doing business with your own selected retail and wholesale travel trade connections. Yes, SMART accepts online credit card payments from your guests. It has an inbuilt, very secure payments "gateway" (all transactions processed by a major NZ trading bank on the bank’s own secure platform). Unique to SMART, all your guest credit card payments are automatically and seemlessly integrated into and displayed within your guest record creating a visible and accurate guest ledger and allowing you to immediately provide a reciepted invoice if one is needed. All SMART payments taken on your behalf, whether before or at the time of stay, will be direct credited to your own bank account almost immediately (the only time gap being for clearance and processing) We will NOT be sitting on your money! SMART will be displayed on, and automatically linked to your TrueNZ Guide listing(s) AND is available for you to add into your own website (at no extra cost) for all your bookings that come from there. SMART will automatically set up a guest record for you to manage your guests’ accounts. SMART will store your guest details and transactions allowing you quick and easy access to retrieve reports for such things as your GST returns, annual accounts etc. SMART will alert you to upcoming stays and enable you to request and receive the balance due from your guests as your own cancellation “lock in” period approaches (we call this “Arrival Assured”), or to ask for a further confirming part payment - whatever you want - you set your own rules. SMART has an integrated personal database for you to customise and use for travel agents and other third parties you accept bookings from on a regular basis. This lets you set special tariffs and commission rates for individual travel agents and limit availability for them if you wish, so if for example, you don't want travel agents to be able to book at peak times SMART lets you restrict that. SMART is priced for small & medium accommodation businesses. The complete package - booking engine, channel manager and payment gateway will cost LESS than the rental for an EFTPOS terminal! How much? Just $69.00 a month exclusive of GST! The SMARTres easy to use online booking engine for “real time” availability & bookings from your TrueNZ listing AND from your own website. The amazing SMART Management Calendar that lets you manage your bookings and guests anywhere from any device. Do away with pen and paper diary, with SMART you can manage everything anywhere - on the golf course, at the beach or in the supermarket. A dual function online payment gateway (that's and electronic "ZipZap") so you can accept both advance online booking deposits and payments AND on site guest transactions. A direct link from your TrueNZ Guide listing so your bookings become instant, confirmed and (if you want) secured by a deposit payment. SMART is already proven to increase your bookings! Especially those nice commission free ones. FREE listings on SMARTdirect and the most appropriate of our online TrueNZ accommodation guides. In fact the only additional cost is a modest credit card processing fee charged on your guest transactions. Nothing else! SMART is yet another exclusive TrueNZ product. We'll make you welcome, why not join us? and then click the red tab. and click on the tab to "reactivate my listing" - we'll take it from there for you.